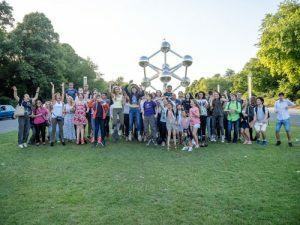 Musica Mundi has been holding each summer for the last nineteen years an international chamber music course and festival for young musicians aged 10 to 20. Each year, the course is attended by some 70 participants from all over the world. 30 countries were represented in 2017, as diverse as Australia, Austria, Belarus, Belgium, Canada, Chile, China, Finland, France, Georgia, Germany, Greece, Israel, Italy, Japan, Korea, Mexico, Russia, South Africa, Sri Lanka, Sweden, Thailand, Turkey, the United Kingdom, the United States of America or Venezuela. As part of ensembles formed with participants from other parts of the world, the musicians need to show exibility, openness and respect for their teachers and their peers – essential human values indeed if one is to perform a coherent piece of music. The Musica Mundi festival is fully integrated with the course – which means that the great performers who give concerts during the festival also contribute to teaching the young instrumentalists. Approaching these accomplished professionals is a unique opportunity for young talents. 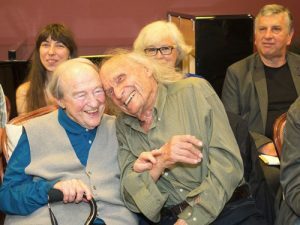 The artists that form the great Musica Mundi family include Ivry Gitlis, Maxim Vengerov, Mischa Maisky, Menahem Pressler, Martha Argerich, Alexander Gavrylyuk, Joshua Bell, Nicholas Angelich, Khatia Buniatishvili, Gérard Caussé, Gidon Kremer, Steven Isserlis, Heinrich Schiff, Jérôme Pernoo, Alexandra Soumm, Ronald Van Spaendonck, Catherine Michel, The King’s Singers, Jordi Savall, Rudolf Buchbinder, Leif Ove Andsnes, Fazil Say, Julian Rachlin, Itamar Golan, the Petersen string quartet from Germany, the St. Petersburg string quartet from Russia, the Talich and Prazak string quartets from the Czech Republic, the franco-belgian Danel quartet or the American string quartet, Harlem– to name but a few. In summer 2001, His Majesty King Philippe honored us with a visit. In 2003, 2008 and 2013, Her Majesty Queen Mathilde granted us her High Patronage and in 2011 visited herself the course, together with young Princess Elisabeth. Mr. Herman Van Rompuy, then President of the European Council, visited Musica Mundi in 2011 and since 2012 has granted the course and the festival his High Patronage. Musica Mundi could not exist without the generous support of private patrons, foundations and public and private companies. Martin’s Hotels, Delen Private Bank, Robus Foundation, Piano’s Maene, La Loterie Nationale, Chemitex, Goldwasser Exchange, Fee Foundation, Fonds Jean Praet, Amade Foundation, Celio, Eastbridge, Axis Parc – to name but a few… These faithful friends are key to our success – a success now well recognized. Since its creation, Musica Mundi has been followed very regularly by journalists and media partners. During the summer of 2013, a full length documentary was produced jointly by the two Belgian television networks, French-speaking RTBF and Dutch-speaking VRT. As a result of this exceptional cooperation, the documentary « It’s Magic – Musica Mundi » was broadcasted in Belgium in 2013 and in 2014 and was presented in the Art Film Festivals of Montreal, Tel-Aviv, Berlin, Biarritz and Seoul. Mezzo TV is one of the important media partners of Musica Mundi. 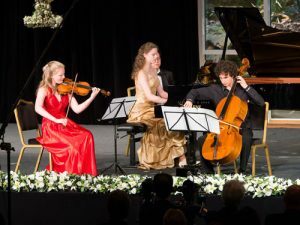 In 2011, during the festival, a concert with the participation of Ivry Gitlis, Maxim Vengerov, Mischa Maisky, Maxim Rysanov and Itamar Golan was captured by this channel and broadcasted several times all over Europe. Musica Mundi cooperates with major cultural institutions in Europe. In 2016, our students have performed in the «Foyer Concert» of the Berliner Philharmoniker. Earlier in that same year, Musica Mundi collaborated with the BOZAR Centre for Fine Arts in Brussels and the Belgian National Orchestra in a special event featuring Maxim Vengerov as soloist and conductor, Leonid Kerbel, Musica Mundi Co-Founder, as conductor and thirteen Musica Mundi young, and even very young talents as soloists. THE MUSICA MUNDI SCHOOL !! !